Over the past few months the need for a shallow cat dish became apparent. Miss Kitty,17 years young, refused to eat out of her regular cat bowl. I thought it was her food but learned it was her food dish. Whiskers are extremely sensitive, and when a food bowl is too narrow and too deep, a cat is forced to put her face all the way into the bowl to reach her food. This causes her whiskers to bump against the side of the bowl, which causes discomfort. In extreme cases, cats may refuse to eat out of deep, narrow bowls altogether. So, I made NEW cat dishes that are shallow and wide enough for her to access her food without her whiskers contacting the bowl. 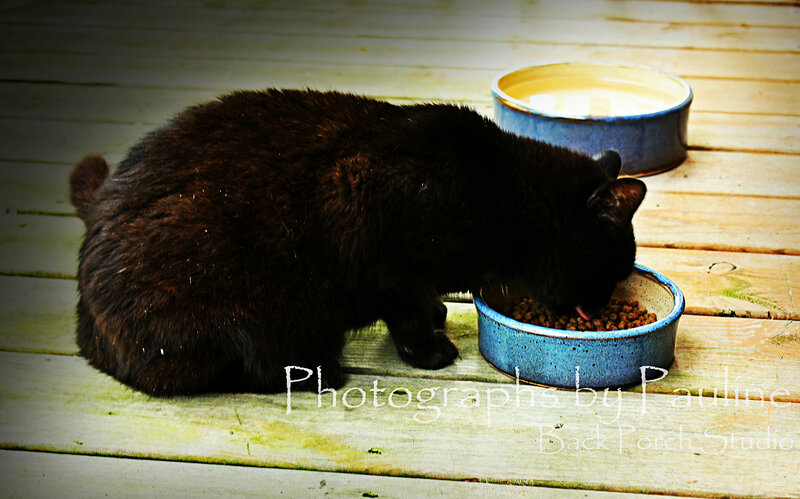 Miss Kitty likes her new dish despite the s-crack. 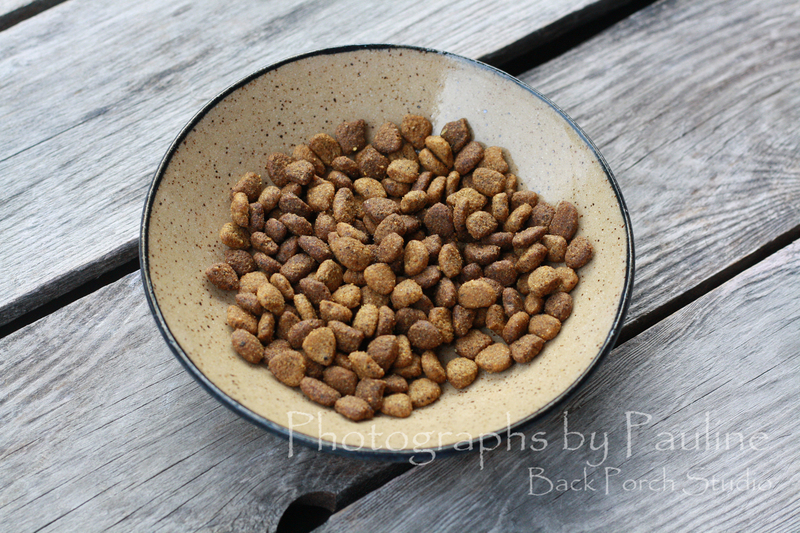 Miss Kitty enjoys eating her dry kibble from this shallow dish – higher sides help the food stay in the center. The need for Miss Kitty to eat became imperative and I am thrilled I found a way to make eating comfortable for her. 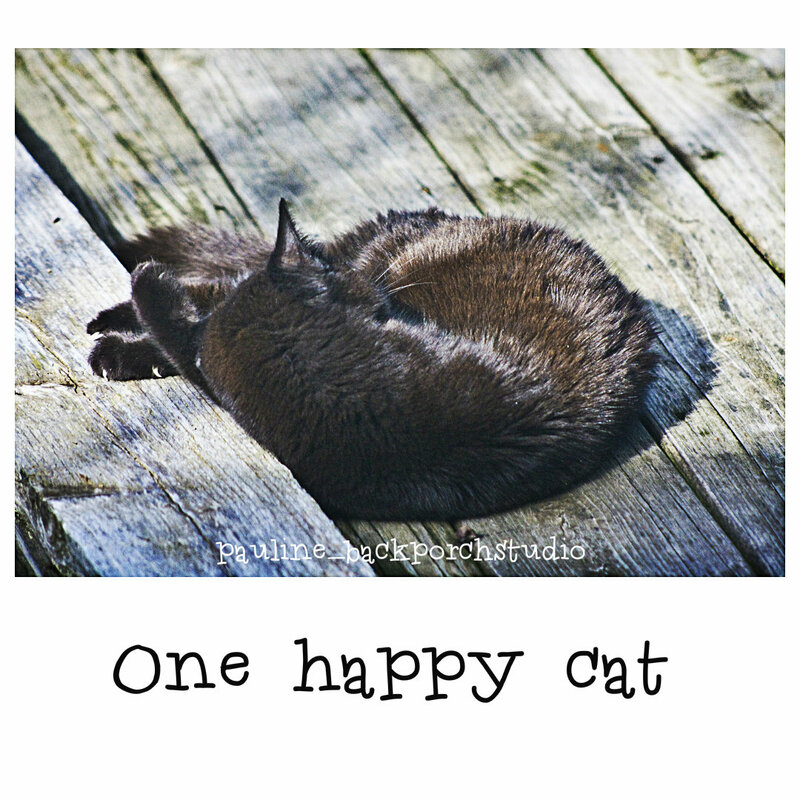 Now knowing that cats can suffer from whisker stress, I plan to make more! 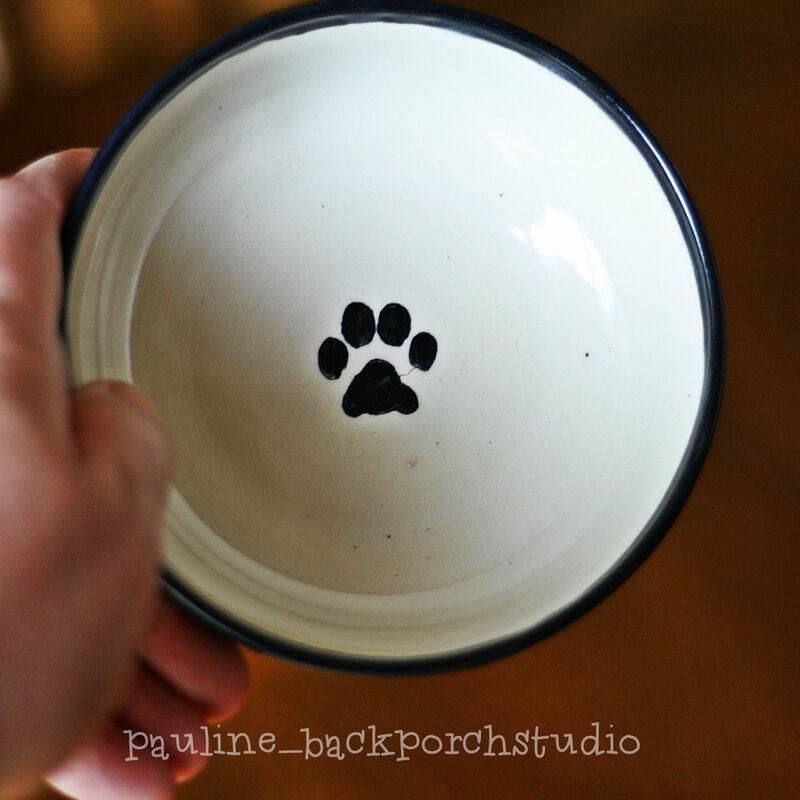 You will be able to find shallow pet dishes made by me in my Etsy shop soon!